Drunken strawberries are such a great addition to any summer party. 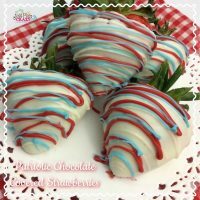 Strawberries covered in chocolate and injected with Tequila will make this dessert a start of the party! 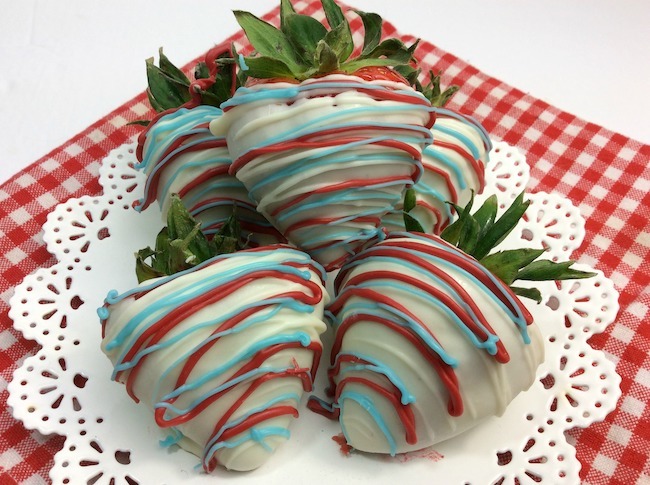 Drunken Strawberries Recipe in Red, White & Blue! We have shared wine soaked chocolate covered strawberries before and they were a big hit. 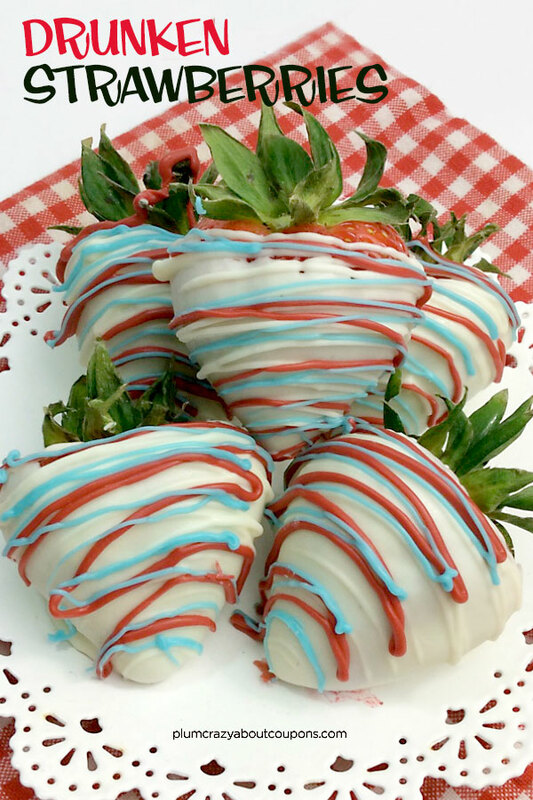 So now we are making some patriotic inspired Chocolate Covered Drunken Strawberries. 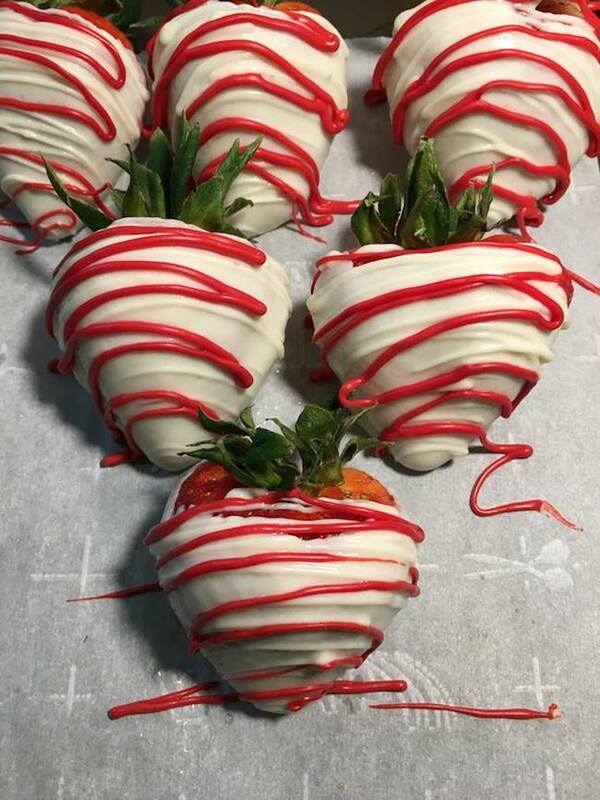 I do not know too many people who do not love strawberries, chocolate or Tequila – so I am sure these will be a big hit wherever you bring them. Just make sure the kids stay far away! 1. Wash the berries and dry thoroughly. 2. Place the berries onto a baking sheet fitted with parchment paper. 3. 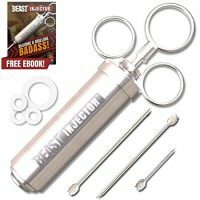 Using the injector, inject about 1-2 Tsp of tequila into the berries. 4. Place the berries into the fridge for 30 minutes. 5. Add some water into 1 of the pots and place on the stove at medium heat. 6. Place the top pot on top and add in the white chocolate melting wafers. 7. Using a rubber spatula, mix until chocolate is fully melted. 8. Dip the strawberries, 1 at a time, into the chocolate until coated up to the top. 9. Place dipped berry onto parchment paper. 10. 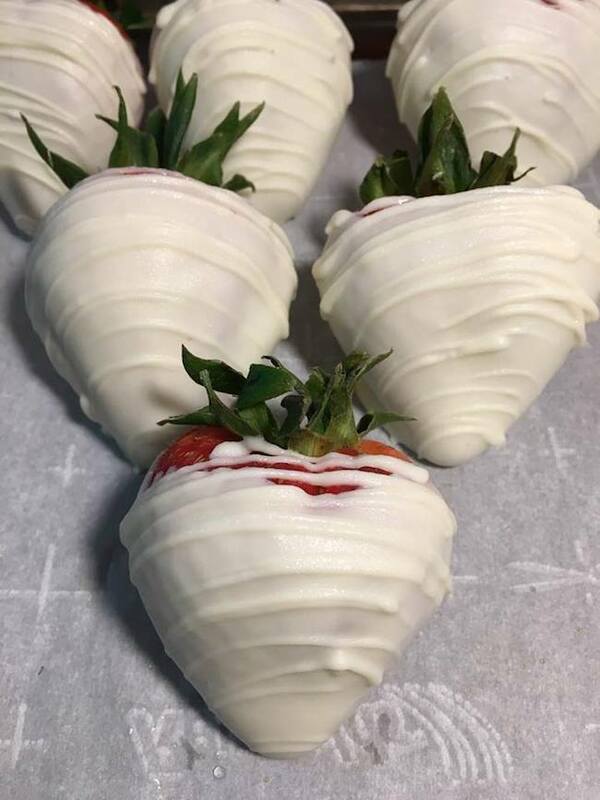 Once all berries are dipped, scoop the remaining chocolate into 1 of the piping bags. 11. Cut the tip off and drizzle the white chocolate on the berries. 12. Wash out the top pot and dry throughly before melting the red candy melts. 13. Repeat melting steps like explained with the white chocolate. 14. Add the melted red candy melts into a piping bag, cutting the tip off and drizzle. 15. Repeat steps with the blue candy melts. 16. Let sit to harden for 20 minutes before enjoying! Drunken strawberries flavored with chocolate and tequila. Wash the berries and dry thoroughly. Place the berries onto a baking sheet fitted with parchment paper. Using the injector, inject about 1-2 Tsp of tequila into the berries. Place the berries into the fridge for 30 minutes. 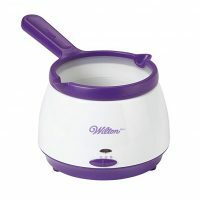 Add some water into 1 of the pots and place on the stove at medium heat. Place the top pot on top and add in the white chocolate melting wafers. Using a rubber spatula, mix until chocolate is fully melted. 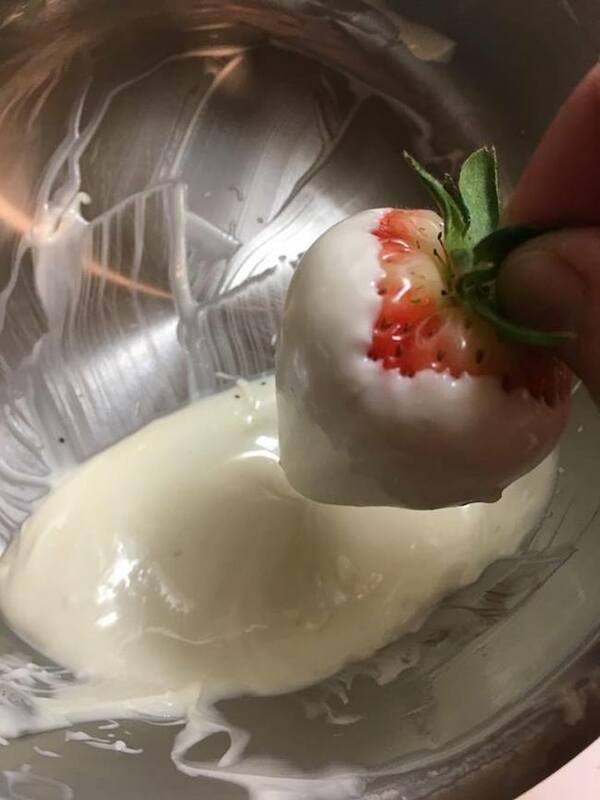 Dip the strawberries, 1 at a time, into the chocolate until coated up to the top. Place dipped berry onto parchment paper. 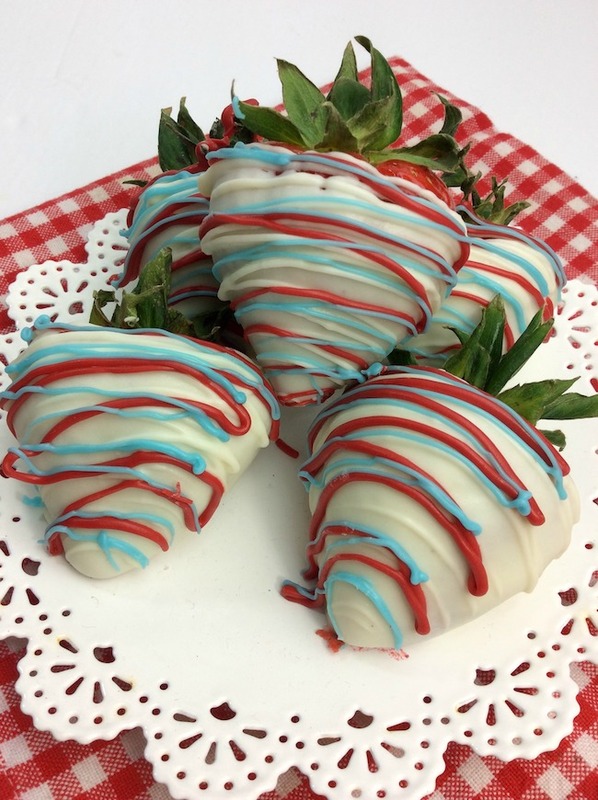 Once all berries are dipped, scoop the remaining chocolate into 1 of the piping bags. 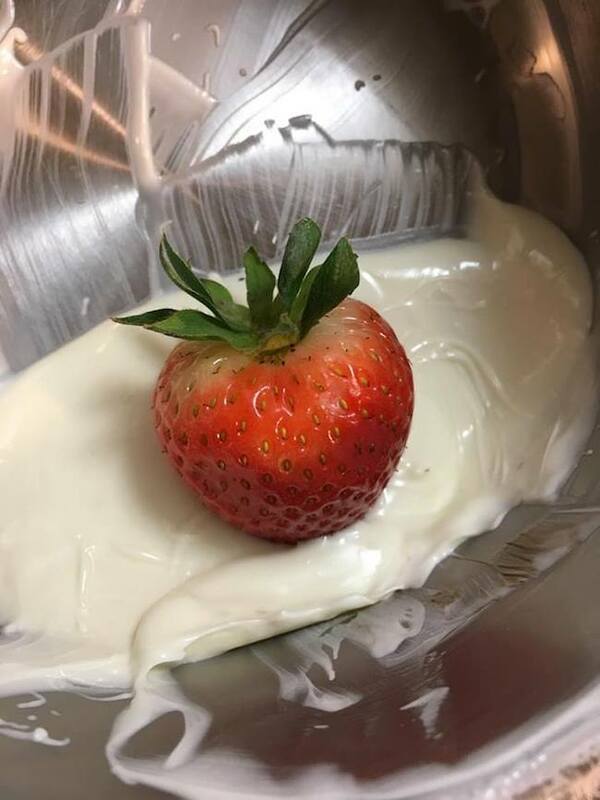 Cut the tip off and drizzle the white chocolate on the berries. Wash out the top pot and dry throughly before melting the red candy melts. Repeat melting steps like explained with the white chocolate. Add the melted red candy melts into a piping bag, cutting the tip off and drizzle. Repeat steps with the blue candy melts. Let sit to harden for 20 minutes before enjoying.